It's been a bit of an African-inspired week this week with a fab Lagos band on tuesday night and then a fab African meal on thursday night at a lovely little restaurant called Calabash. 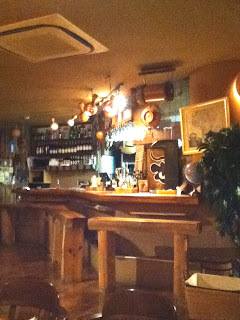 We ate samosas, patties, and lamb stew with couscous all washed down with a choice of African beers and spirits. 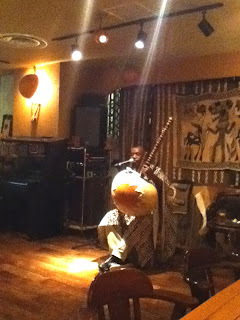 We were serenaded by an African musician called Mamadou Doumbia who played a beautiful instrument called the "kora". It's definitely worth checking out.